One of the first things I wished for when I first got my iPad was a way to use it as a tablet computer. 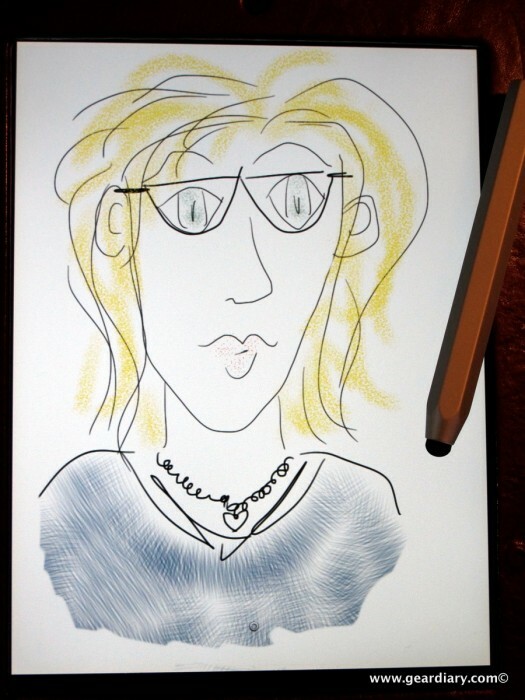 The iPad’s large screen was simply begging for handwriting input, and programs like PenUltimate, SketchBook, Brushes, and photo editors like ColorSplash were ripe for a better input device than my pointer finger. Because of the iPad’s capacitive touch screen, any old stylus would not do, plus I wanted a stylus that wasn’t too pointy. I’d seen quite a few capacitive styli that would work, but I thought they were pretty homely when compared to my iDevice’s good looks. 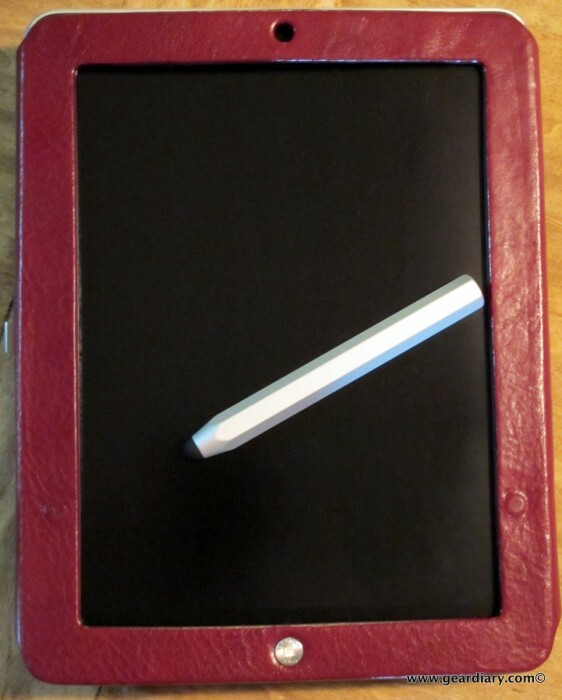 It wasn’t until I was offered the chance to review the Just Mobile AluPen that I finally felt I had found a stylus that looked like it “belonged” with my iPad or iPhone. 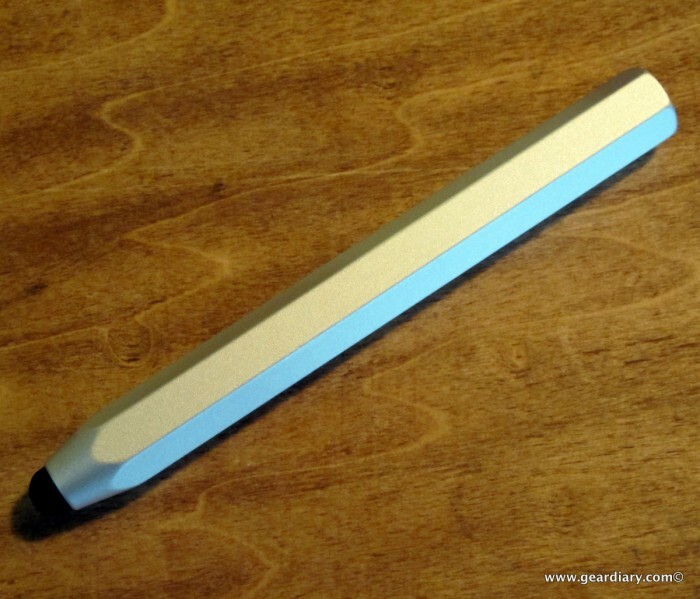 Composed of aluminum, the AluPen measures about 5″ long x 0.5″ thick; holding it is like holding one of those fat pencils you first learn to write with, one that’s been used for a while so it’s a little shorter than when new. In its present form. the AluPen is not uncomfortable or too weird to use, although I would love a slightly thinner version that was also a little longer. The AluPen is not round, it is pentagon shaped; the angles are not too sharp and the flat surfaces make grasping the tool and using it for extended periods of time comfortable. I find myself using it to tap things out on the keyboard, to open apps, move apps … on and on it goes. Why do I like it better than using my finger? In a word: grease. Fingers leave oils, streaks and other detritus in their wake. Sure, you can wipe the screen clean, and I do. But using the AluPen just seems more sanitary, and it appeals to the OCD in me. An added bonus is that it will allow me to use my iPad and iPhone in the winter, without removing my gloves. I was concerned that the AluPen would be hard to precisely control, or would only write in a big thick streak, but that is simply not the case. 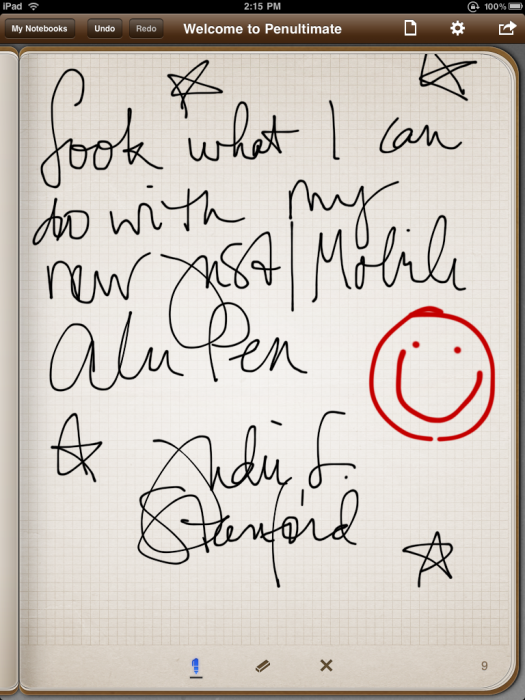 Whether pointing, writing or drawing, the Just Mobile AluPen has been a welcome addition to my gearbag. I suppose my biggest real complaint is that it creates yet another item for me to carry. The tradeoff is that I can write and draw more precisely when using it, than I ever could with my finger. 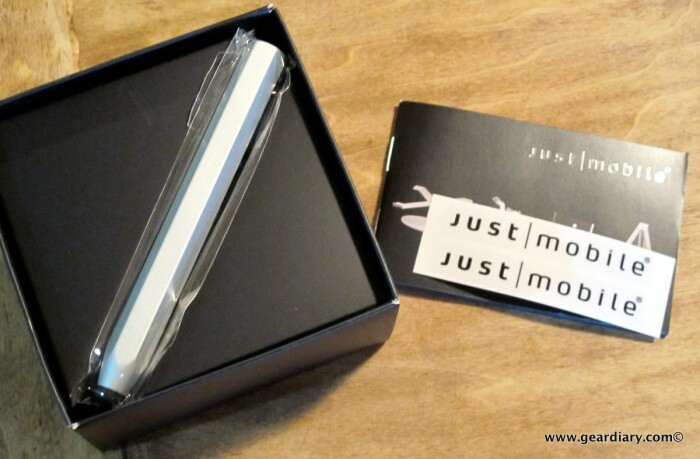 If you want a beautifully made stylus that will work well with your iDevices, then the Just Mobile AluPen is just what you need. At $10 more than most of the plastic capacitive styli I have seen, it’s a bargain. The Just Mobile AluPen is available directly from the manufacturer.